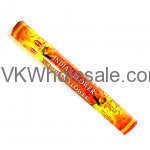 Minimum quantity for "Indian Flower Hem Incense 6 CT" is 3. 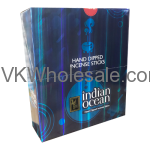 Minimum quantity for "Indian Ocean Hand Dipped Incense Sticks 72 Packs" is 1. 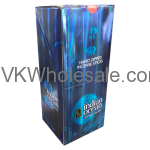 Minimum quantity for "Indian Ocean Hand Dipped Jumbo Incense Sticks 30CT 24 Packs" is 1. 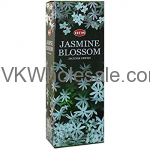 Minimum quantity for "Jasmine Blossom Hem Incense - 20 STICK PACKS (6 pks /Box)" is 3. Minimum quantity for "Karat 24 Nandita Incense 12 PK" is 1. 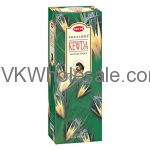 Minimum quantity for "Kevda Hem Incense - 20 STICK PACKS (6 pks /Box)" is 3. Minimum quantity for "Lilac Hem Incense - 20 STICK PACKS (6 pks /Box)" is 3. 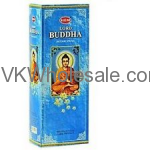 Minimum quantity for "Lord Buddha Hem Incense - 20 STICK PACKS (6 pks /Box)" is 3. Minimum quantity for "Mantra Meditation Nandita Incense 12 PK" is 1. Minimum quantity for "Money Drawing Hem Incense - 20 STICK PACKS (6 pks /Box)" is 3. Minimum quantity for "Musk Hem Incense - 20 STICK PACKS (6 pks /Box)" is 3. 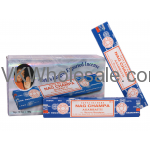 Minimum quantity for "Nag Champa 12 Ct - 1 Pk" is 1.